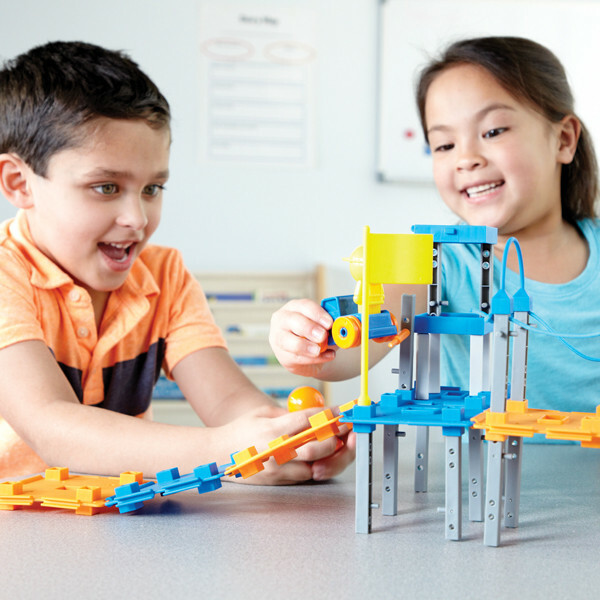 Kids can engineer and design their own city… including bridges, cranes, buildings and more. Ten engineering Activity Cards help guide the engineering design process and keep little builders challenged. A great way to develop STEM skills! 100 piece set includes 89 pieces based on real-world construction pieces: beams and girders, play figures, cones, flags, 10 cards, and a sticker sheet to bring your grand designs to life!